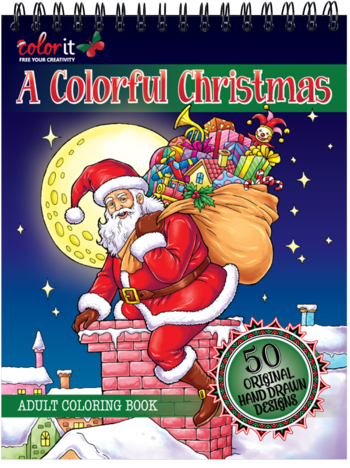 This holiday season, we wanted to give you a coloring book that was sure to make your season bright, which is why we've restocked A Colorful Christmas! From friendly snowmen to gingerbread cookies that are good enough to eat, A Colorful Christmas is your go-to book to get you into the holiday spirit. This festive coloring book features 50 holiday-inspired designs hand drawn by Hasby Mubarok, who has also illustrated some of our bestsellers.